24 registered (Mike Schmitt, SVacek, Bobbss, nehunter, anthropic, 4CornersPuddle, Kris B, Snicholas, Sunil, TXDraht, Farmpond5343, Chris Steelman, roundy, canyoncreek, RKim, Shorty, Redonthehead, Rainman, Vortex 4, SteelersFan, SetterGuy, Ibanez540r, Bill Cody, Zep), 209 Guests and 195 Spiders online. 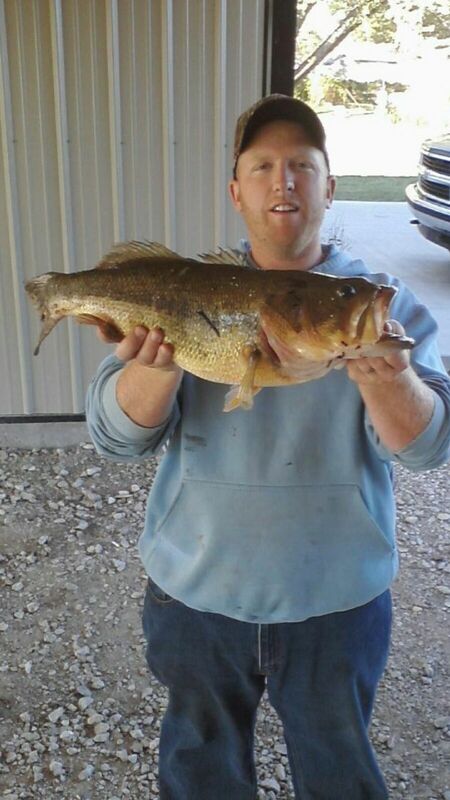 Here's a bass that was caught and put back in a few years ago. We didn't weight it but was the biggest iv seen come out of it. That's not me by the way LOL. A real beauty. And the fish is nice, too!